November 17th, 2011, is World Prematurity day… and because both my beautiful baby boys were born premature, i’m celebrating by wearing purple (the colour of the cause) and also by sharing the collages i made for the WPD Facebook group showcasing how far these amazing boys have come. 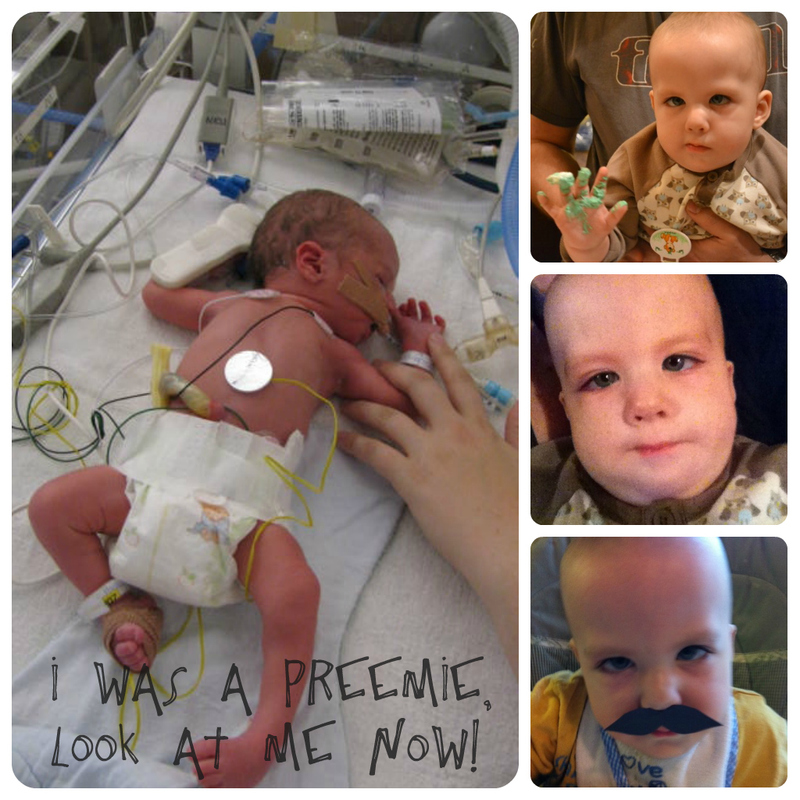 Cedric was born at 32 weeks, he was 4lbs 11oz at birth and spent 18 days in NICU. I remember thinking when he was born that i had never seen a baby that small before. It was love at first sight. Today Ceddy is three years old, runs around like a crazy person, has an extremely high vocabulary and asks questions a million miles a minute. He is my cuddle bum, my gymnast, my ‘star-wers’ fanatic and my budding author. 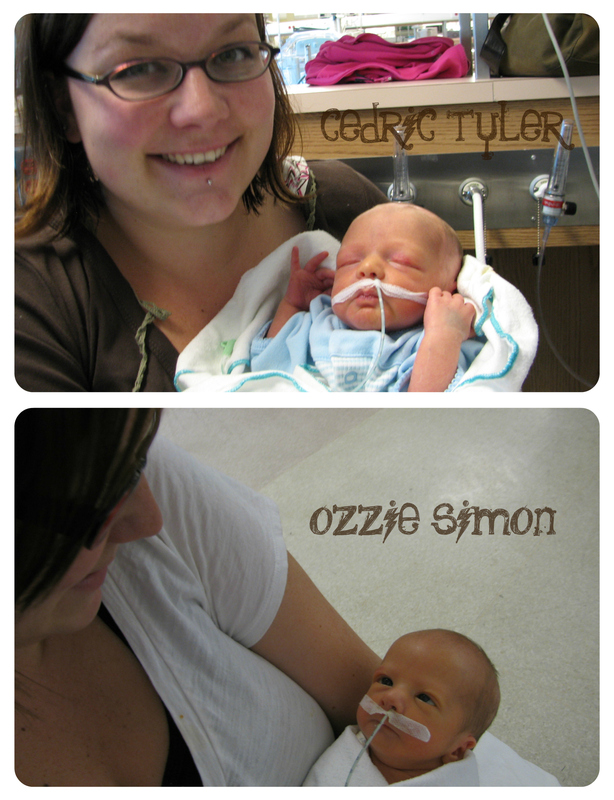 Ozzie was born at 33 weeks – he weighed 3lbs 15 oz. He stayed in a whole week longer, and weighed almost a full pound less! He was officially the smallest baby i ever held. 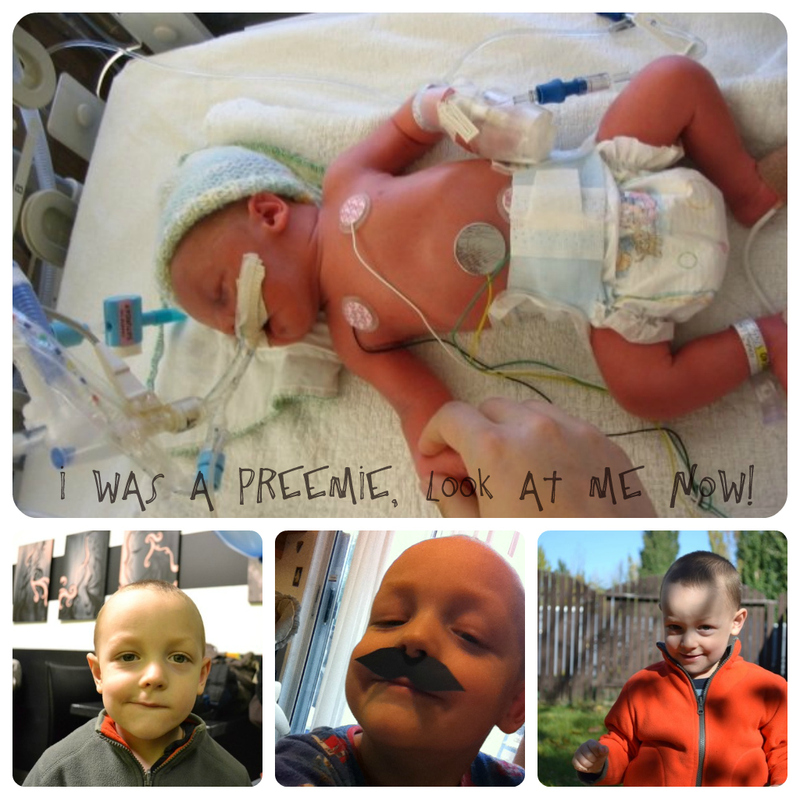 He stayed in NICU for 30 days, then in the Pediatric ward for another 10. His life has been a roller coaster ever since he arrived, full tilt! Now he’s over 25lbs, he’s sitting unassisted, eating solid foods, and even spending a little time on his knees. He’s a little behind as far as physical development, but he’s perfect. And i love him. Being a parent, especially with two rocky starts, has been an emotional ride beyond anything i’ve ever experienced. My boys have made me a better person, even if i am a little bit of a cranky mom some days (chocolate usually fixes that). And even though i sometimes remember the days when we were free to come and go as we pleased, to sleep in until 11 on weekends, etc, etc, i wouldn’t trade any of this… for the world. i love you, babies! !